Constantly writes the same thing, even after clearing the cache. Packages have been installed via ssh for a long time. Is there a solution? If you clean cache from SSH and then go in Software Center you’ll get the same error? I suggest you to try to clean all cache and upgrade from CLI. 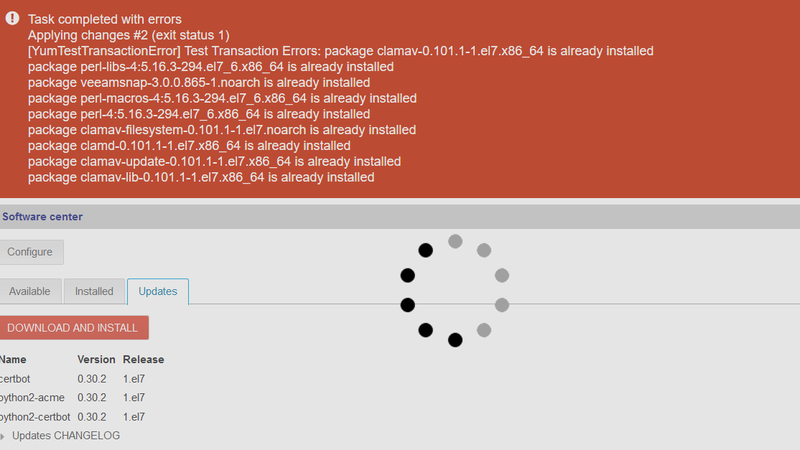 Then check if with next updates the error persists. Yes, I clean, yum upgrade, all is well. But the GUI doesn’t. The problem where a month after the next big update. I have 3 browser always in work, Chrome, Cent, Firefox. Browser cache clean software from 1 to 10 times a day. Let’s wait for the next update, see what happens. If the issue with the software center UI appears again try to select the English language from the login screen and see if it’s reproducible. Did you enable the locked software origin option?